Good morning! Hope you all had a great weekend! 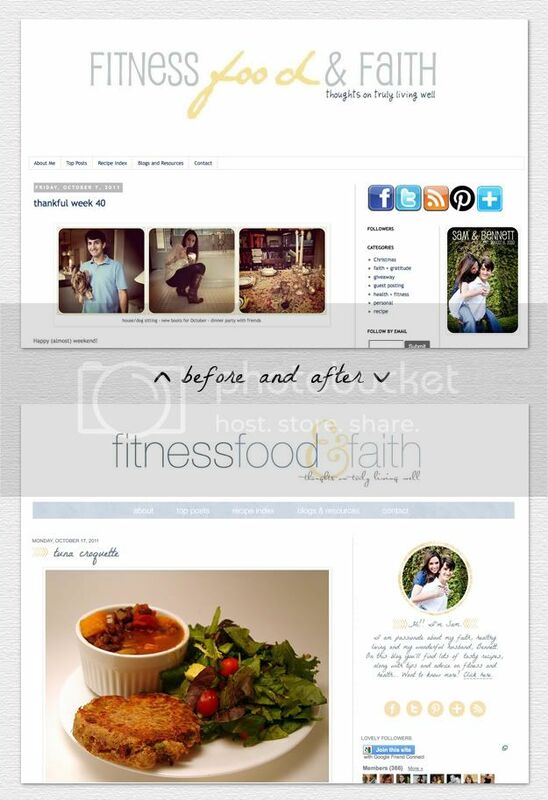 I wanted to share a little blog makeover I did last week for Sam from Fitness Food & Faith. I've been following FF&F forever, and I was excited to hear she wanted to give her blog a little makeover. We worked with a similar color palette and kept the blog light and airy, but gave it a more modern and updated feel with the fonts and simple graphics. Click here to visit Sam's blog, take a closer look and let us know what you think! If you’re interested in blog or graphic design, be sure to check out my services page or email me for more information. I would love to I create something that is perfect for you. Don't forget to enter our iswas+willbe giveaway! You could win $30 in shop credit! Love her blog and you did a great job! Wow! You did a great job girl! so in love with my look. you are such a rockstar! Jessica, its perfect! Such a clean and attractive aesthetic. 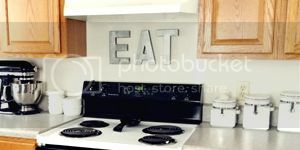 I love your font choices too. Will keep you in mind to refer people to! Ah I love her blog too! You've done an awesome job! So in love with the colour choices! Looks awesome! I need to get my domain so I can hire you. Eeek, I'm so lazy! Ah, Jessica! I love what you did with Sam's blog. It's adorable (: You're so so so talented!